This is the best cowbell out there! Very loud and solid sound - can't be missed! I consider myself to be a connoisseur of cowbells. I've been a professional jazz cowbell player since I was 3 years old growing up in the backwoods of Omaha (the true origin of jazz cowbell playing). I have a collection of over 2,322.4 cowbells and have never been satisfied. That was until I stumbled across this beauty. 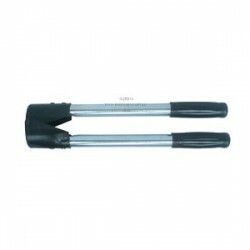 This cowbell is the Magnum of cowbells.Let's start with the silky black handle. It almost seems like it was meant for my hand...smooth, yet familiar during my first jam session. When I performed behind Phil's Foodway last Saturday night....there was a not a dry eye in the parking lot. Beauty was found that day in the form of melodious clanking. I was reading about Pavlov's dogs and wondered if something like that could be applied to my kids. Solution: Cowbell.I don't like yelling because I like preserving my singing voice (I teach Algebra I to mainly Freshman btw). Here is what I do to condition them. I say, &quot;I need everyone's attention&quot; and I ring that bell, LOUDLY. I wait until everyone is quiet, not quiet then more cowbell. After 3 days they know when I say, &quot;I need everyone's attention&quot; and I don't get it, cowbell.I've had student's with no discipline whatsoever who have &quot;run&quot; their other teachers, but with this thing all I say is, &quot;I need everyone's attention&quot; and it goes quiet (9 times outta 10 in practice).I don't have a coach's voice, but with this thing it out does them. Also, a side benefit I've noticed is that I have no sleeping kids because obviously, cowbell. Oh the fun we can have with this one.Took it on our Halloween camping trip weekend. My husband had to ring the bell every hour on the hour... or as close to it as he could get.We suddenly found many others in the park that had similar bells to it and rang along with him shouting &quot;Bring out your dead&quot;. Camping trips will not be the same again. :) Fun timesIt was not as loud as I thought it would be when you are standing next to it but you can hear it from a long way away. very nice. Really LOUD bell...great for summoning help to a sick person. Actually, i use it hanging on a rope outside so the dog can let me know she wants to come in. I'l l have to buy another for the sick room use. This is LOUD! 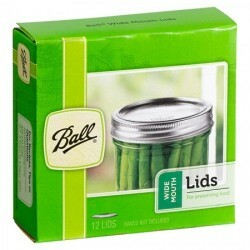 Great for the football games &amp; will definitely annoy those people who don't want to cheer with you! :) If you hold it up to ring it, sometimes it got caught on itself, so would stop - but that could be a user error, too... I was ringing it pretty hard. Loud! Woke up my son with this when he overslept. I think his heart skipped a few beats. Love the cow bell. Bought it to teach my horse to ring a bell. He loves it! Great bell. Very loud. We have about 4 acres of wooded land behind the house and the boys can hear it down at the lake. Bought this because they could not hear me holler when dinner was ready!! The bell still hangs on the kitchen porch and looks like the day I bought it. Classic cow bell sound from a low-cost bell. Sound can be heard from a long distance. 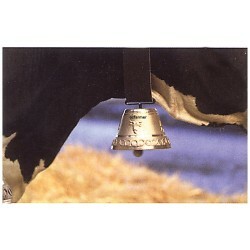 The best cow bell currently on the market can be used as a horse bell or a donkey bell. 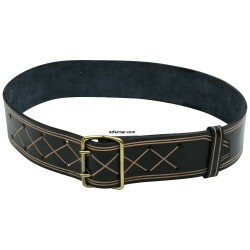 11cm wide with maximum collar width of 45mm. 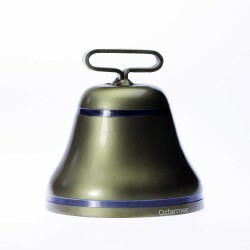 This genuine European quality-manufactured cowbell had distinctive tones which carry a long distance..
Barnes dehorners offer a simple dehorning solution for calves up to about 15 months old. They are a..
Well-priced heat lamps from Kerbl, Germany. 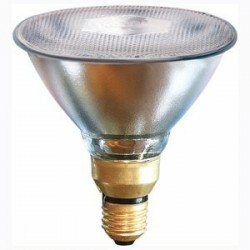 PAR38 lamps save 30% energy cost and are good for 5,000 ..